I would like to introduce the latest member of my family, the adorable, 🐶 Alice Ava Grace. 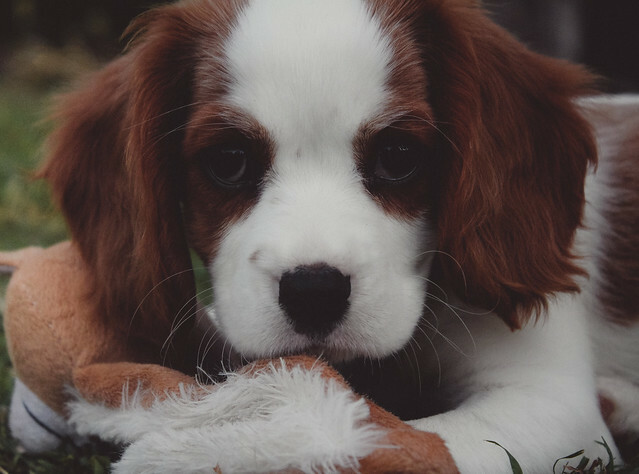 Alice is just over ten weeks of age and is mostly Cavalier King Charles Spaniel with a touch of Beagle. She is incredibly sweet, loves to cuddle and has settled in very quickly. There was a connection when we first met, and since she has been home, it has developed into a great bond. I love this little girl and look forward to many precious moments. Because I can’t stop myself from taking a million photos I created an Instagram for her, you can follow her @aliceavagrace! She’s adorable! I was planning to get myself a new dog this year, preferably a husky! I hope I get one, too. I can’t wait! Dogs are indeed a bundle of joy. She is absolutely adorable. I already follow her on instragram and love all the pictures that keep coming in. So reminds me of when my furbabies were this little. Dogs are certainly a joy to have. Always a best friend right by your side. She has such a cute face. She looks gentle yet playful. Great that she chose you. I think it’s great to have cats and dogs, to have them get along with each other. Omg, she’s such a little sweetheart! Congratulations on your new furchild! 😍 I would never have guessed there’s beagle in her, she looks like a purebred cavalier with that fluffy fur. It’s sweet that you named her after your grandma too. She’s so pretty! She has a regal look to her. Sadly my sister’s breeder was not as good, but her dog is well cared for now! 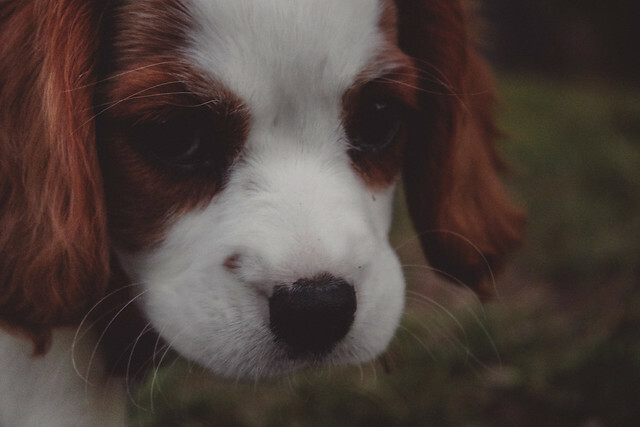 Cavalier King Charles is my favourite breed of dog, I used to have one. The cats will quickly adapt, especially as she is a young puppy and won't be too in their face. Alice is so adorable! Love how her colors radiate and I’m happy that you put in a lot of research, especially with sourcing a breeder who was ethical. Hope you’ll have lots of adventures and good memories with her! It’s crazy that they required you to have a dog to adopt a dog. It’s kind of like credit here in the United States. You have to have good credit for anyone to give you credit, but you need someone to give you credit before you can get good credit. Is this your first dog? How many pets do you have? Ahh! Alice is sooo adorable! That’s so cute that she came up to you and played with you when you went to visit the breeder. It sounds like you two were meant for each other 🙂 I hope your cats eventually become good friends with her! Oh my gosh she’s SO CUTE! I’m so glad to hear your cats are adapting well. My cats took about 3 days and a week respectively to get used to my dog when I got her, but they’re super used to dogs because I used to foster dogs through a shelter. Keep us updated on the adventures of Alice! SHE’S SO CUTE. Oh my goodness. How are you getting anything done at your house with that cutie?! While I do believe in adopting, I’m so glad you did your research and chose an ethical breeder! If you go that route, that’s so important. She’s so perfect and I think all animals find us for a reason! Can’t wait to see some more pics! Well… Alice just melted my heart. She’s absolutely devine, glad she’s found such a beautiful home! I’m having the same dilemma. I’m so in love with husky’s, and I really would like to adopt one but I also really want to get a puppy that I can kind of raise how I want it to be raised. I dearly want to adopt an abandoned dog and give it a loving forever home, but I’m so worried that it might go wrong and that it may have behavioural problems, health issues etc. that I don’t have the time to dedicate to. I would if I could, but it just seems unlikely at the moment!! Glad to hear you’ve had such a positive experience with a breeder. OH MY GOD SHE IS SO CUTE!!! Ahhhhhhh!! And I love it that she “chose” you like Harry Potter’s wand… (hah I went there :P). I can’t wait to see how she grows up!!! She looks so soft and sweet… JEALOUSY ALL THE WAY FROM HERE KASSY!!!! OH MY!!!! ALICE IS SUCH A BEAUTIFUL DOGGIE! <3 She looks so sweet and innocent! Oh my gosh, I could go on and on! She is so beautiful ☺️ I’m glad you were able to become the new owner of just the dog you were looking for. I love that she chose you and that you had a connection! I know I wouldn’t be able to leave a place if such a wonderful creature felt a connection to me. ❤️ Hey, at least you will be able to adopt another dog you like in the future since you will be the owner of Alice! Thank you for sharing her photos! I’ve been seeing some people making Instagram accounts for their pets recently. Is it a thing that people do now? KEEP DOING IT. LEMME FOLLOW ALL YOUR ANIMALS!! You know, I really dislike Chihuahua's. I have nothing about the breed itself that I like, honestly. Before now, I hadn't had any good experiences with them, and just honestly they were one of my most hated dog breeds. I KNEW what I wanted when I was ready for another pupper after Lennon(Blue Picardy Spaniel) passed away 2 years ago. I wanted a Yorkie. However, after searching the adoption events, pound, and facebook for a few months I happened upon Chorkie(Chihuahua X Yorkie) puppies, and the mom was super cute and looked VERY little chihuahua. My husband wasn't impressed with the $150USD 3lb rat that was placed in his lap when I went to look at them. I took her home after falling in love with her little nose. (yes, nose) This dog looked all chihuahua except her nose and colouring. Still does. Duchess has been the pride and joy, and admittedly sometimes headache, of my life for the last 3 months, and I wouldn't trade her for all the Yorkie's in the world. I had a dog named Ava too before. She's a belgian malinois but we have to give her up because she's too big for our house 🙁 but she's in a much better place now 🙂 Right now I only have 1 persian cat and 1 pomerianian 😀 They do not really get along but they're not fighting. My cat wants his own business and my pom respect that but sometimes a little annoyance can do which is funny XD HAHAHAHA! Wow what a beautiful dog! She is so pretty. 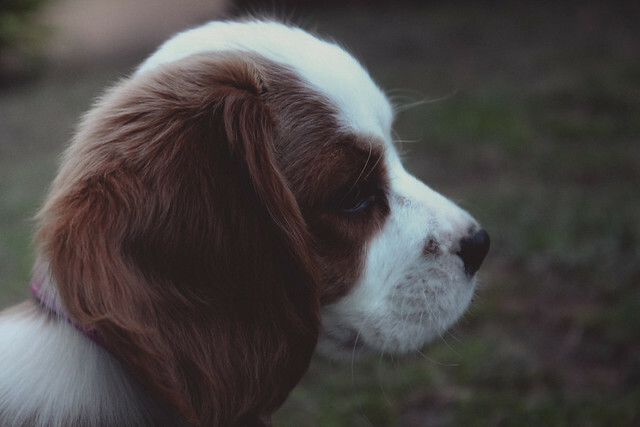 I love spaniels! 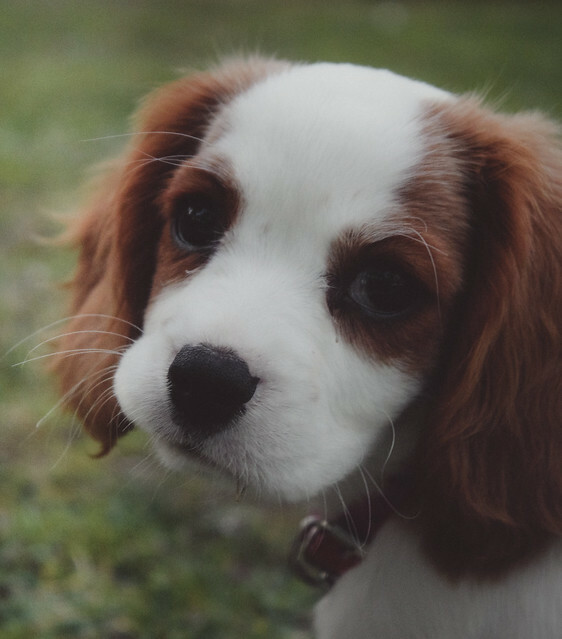 My first dog that I remember having was a cocker spaniel I named Muffy when I was 5. My parents bought her for me because I was pestering them for puppy and so they decided they wanted a small dog. Alice Ava Grace is a beautiful name and really suits her perfectly! Congrats on your new puppy!